We are members of a number of professional industry bodies to ensure we maintain the highest industry standards and to provide our customers with competitive pricing and industry expertise. Please find details of our industry memberships below. 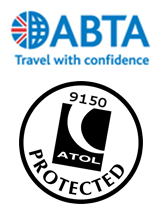 IATA 91236132 - The Travel Company Edinburgh is an appointed IATA agent (International Airline Travel Association). The Travel Company Edinburgh is licensed under the Association of Train Operating Companies (ATOC) to sell and issue Rail tickets. Our Rail Licence number is C716. As the UK’s largest independent travel group, Advantage Travel Partnership, has the buying power to negotiate the best rates in the marketplace across a range of business travel requirements including flights, hotels, car hire, rail, airport transfers and more. In fact, with a group turnover in excess of £1.5 billion, we are, every second of the working day, making a travel booking for one of our customers. The Focus Partnership is a like-minded group of Advantage Business Travel members who work together with suppliers to improve their collective buying power. Working with over 60 airlines and with access to over 10 million air fare combinations plus having competitive fares with hotel groups (who offer competitive and flexible rates at over 25,000 hotels) and car hire companies this formidable buying power enables us to compete with some of the largest travel management companies in the UK. WIN is the Worldwide Independent Travel Network, is an international group of travel specialists working together to grow and win business. WIN membership totals 6,000 locations in 40 countries, employing 30,000 staff with a combined turnover of over US$15 million. We combine the best of both worlds: The global reach and shared expertise of a multinational, with the fast-mover advantage and customer care of a local independent agent. ASTA is the American Society of Travel Agents and though US based they have a number of international chapters of which the UK is one. Ken McNab, our Managing Director, is Chapter President for the UK. ASTA gives us the chance to build a network of travel professionals across the globe to partner us to offer our clients the highest standards of service.